The Sanofi Biogenius Canada is proud to have a legacy of former participants who have gone on to accomplish amazing things. In this ongoing series of interviews, we chat with students from years past about some valuable lessons learned, and check in on what exciting paths they’ve taken since their time with the SBC. I participated in SBC in my grade 12 year. My best friend, Miranda Wang, and I tackled the research project on the bio-degradation of phthalates, which are toxic chemicals added to everyday plastic products. We were placed first in the regional round in BC, and then received the Greatest Commercialization Award at the national level in 2012. Isabelle Labeca-Gordon competed in the SBCC in 2013, during her grade 12 year of high school. She was mentored by Dr. Tony Mazzulli at Mount Sinai Hospital in Toronto. 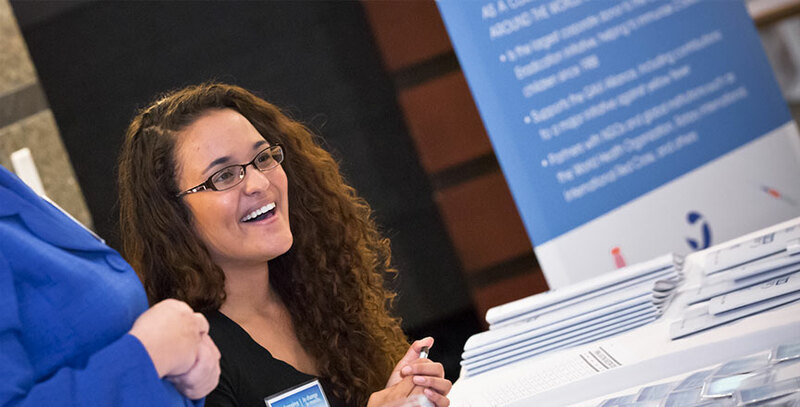 In our interview, Isabelle highlights how the SBCC gave her a unique opportunity to pursue research in a university lab under the guidance of a mentor, an experience she says she couldn’t have had without the SBCC. We interviewed Ted Paranjothy, a multi-year SBCC alumnus, and a “triple crown winner” – winning the regional, national, and international competitions – of the SBCC in 2007. His winning project studied an innovative cancer treatment that he continued to work on and commercialize beyond the SBCC. Ted tells us more about this project, his challenges and successes, and why the SBCC is a unique opportunity for youth to develop professional skills and career direction. Uliana Kovaltchouk was involved with the SBCC from 2008-2010, through grades 10, 11, and 12. In 2009, she submitted her project, “Molecular Insights on DNA Uptake and Transit Pathways in Saccharomyces cerevisiae,” a continuation of a project that she started in 2007. Currently, I am in my 4th year of my Bachelor of Science degree majoring in Microbiology and Chemistry at the University of Manitoba. As a part of my degree, I am currently working in the Court lab examining mitochondrial protein complexes in Neurospora crassa. Adamo Young is an Ottawa high school student who participated in the SBCC for the first time last year. His project, “Emerging Fusarium Chemotypes: Threats to Crop Production,” won first place at the regional competition, and he is looking forward to participating in the SBCC again this year. Among his success at the SBCC, Adamo has participated in other science fairs, and has even had some of his research published. In this interview, Adamo tells us about his experience with the SBCC, what it’s like to have his research published, and some advice for students who want to submit a project to the SBCC. 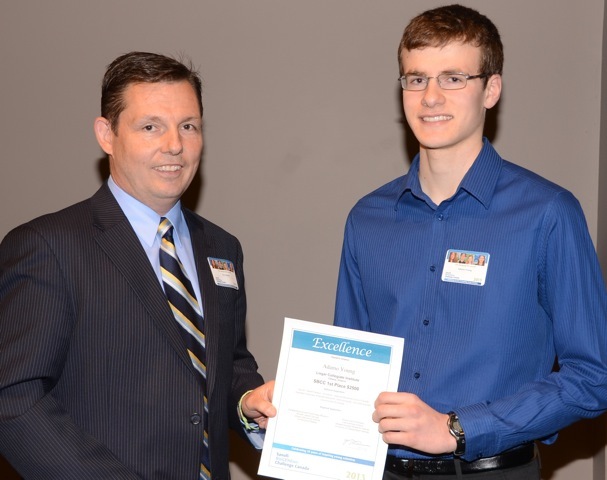 Anton Dobrin is a multi-year SBCC alumnus, whose project, “Studying the Effects of the pH level on Protein Activity, Inhibition and Structure,” won fifth place prize at the GTA SBCC regional competition in 2008. In this interview, Anton shares what the SBCC experience was like for him and how it has helped him beyond high school, including earning an internship with Sanofi Pasteur after his first year of university. Persistent and dedicated, Anton also shares some important advice for future SBCC participants. Tell us about your history with the SBCC. 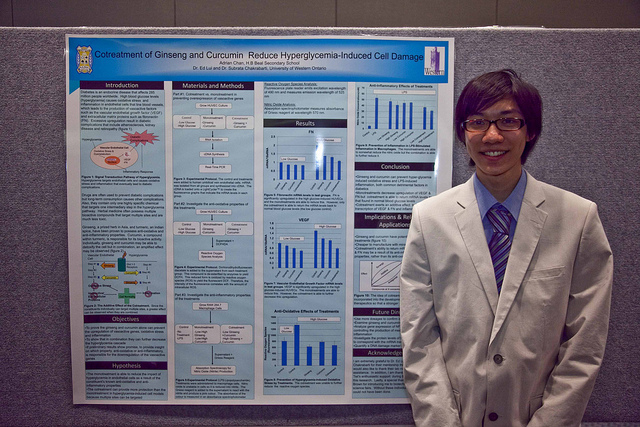 Adrian Chan participated in the Sanofi BioGENEius Challenge Canada in 2009 and 2010. His project in 2009 examined the role of the protein TRIM22 in inhibiting HIV replication. Currently working on a degree in Microbiology and Immunology at Western University and interning at Sanofi Pasteur, Adrian strongly believes that his participation in the SBCC has helped him get to where he is today. In this interview, Adrian provides a lot of insight and advice for students who are interested in submitting a project to the SBCC. 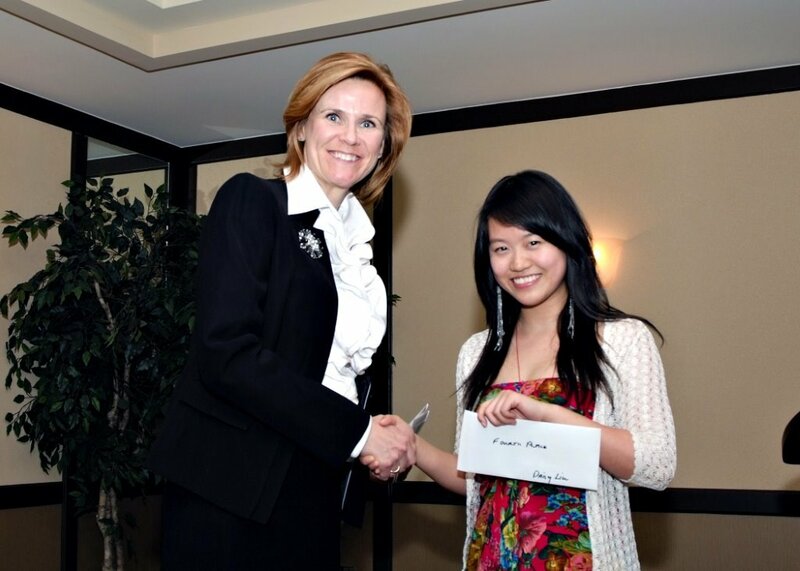 Miranda Wang is a Sanofi BioGENEius Challenge Canada 2012 alumna, whose project with her research partner, Jeanny Yao, looked at the plastic degradative potentials of soil bacteria from the Fraser River area in BC. They collected 14 strains of soil bacteria from contaminated sites along the river, and identified three strains that could efficiently degrade phthalates – a plasticizer found in common items ranging from pharmaceutical pills to toys. The bacteria that were discovered by Miranda and Jeanny could be used to treat a lot of environmental contamination. 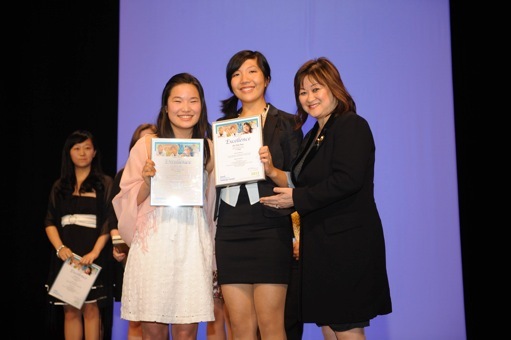 Daisy participated in the SBCC in each year of high school (2010-2013), winning second place at a national science fair competition in 2011. She says the SBCC helped her realize her potential and has given her invaluable experience and confidence as a first-year student in both the Science and Concurrent Education programs at Queen’s University. Daisy provides a lot of insight, wisdom, and advice for current high school students interested in participating in the SBCC and pursuing a career in science.